The statement by Pyongyang also warns of "grave consequences" if Washington refuses to cooperate in the investigation of the attack and continues to accuse North Korea. The attack was followed by threats against movie theaters that planned to show “The Interview,” a comedy in which the US intelligence seeks to kill North Korea's leader Kim Jong-un. Sony eventually refused to release the film. Although North Korea has from the start denied being involved in the hacking and the threats, it still praised the cyberattack as a "righteous deed." 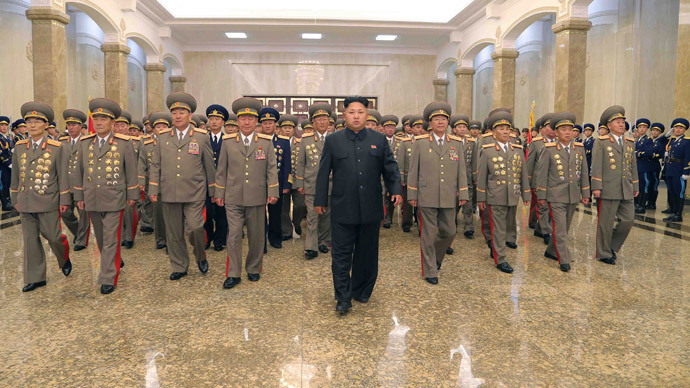 It’s not only the allegations of masterminding the Sony hacking that are vexing Pyongyang. The recent UN General Assembly vote in favour of referring North Korea to the International Criminal Court over alleged crimes against humanity has been seen by the hermit state as an invasion attempt by the US. North Korea warned on Saturday it would respond by boosting its nuclear power capability. "Now that the US hostile policy with an aim to invade our republic under the guise of human rights has become apparent, the idea of de-nuclearizing the Korean peninsula itself is no longer valid," the North's foreign ministry spokesman said on KCNA, as cited by Reuters. "Our effort to strengthen our defensive military power including nuclear power will be doubly stepped up in every way," the spokesman said in a statement. North Korea has so far carried out three nuclear tests, the latest one nearly two years ago. Pyongyang has claimed the nuclear activity is purely for self-defense.